Precision All Natural™ Whey Isolate features a gently processed, virtually lactose free whey protein isolate imported from New Zealand. 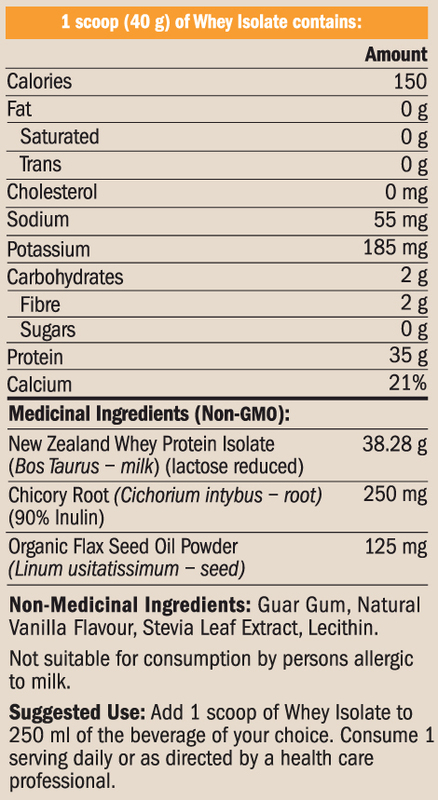 New Zealand proteins are renowned for being the cleanest and purest in the world. The cattle are raised without the use of hormones, including rBGH, and the milk supply is screened for over 250 contaminants including antibiotics, fertilizers, pesticides and PCB’s. 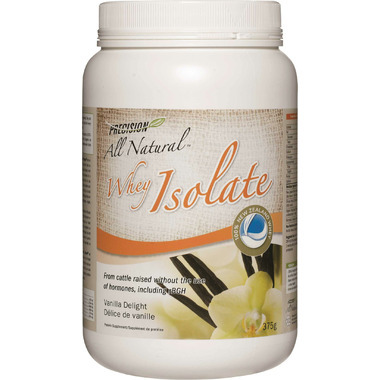 This form of New Zealand isolate has more to offer than just purity. It provides an outstanding protein percentage while being exceptionally low in fat, cholesterol, carbohydrates and sugar. It is also gluten free, naturally rich in calcium and contains the full spectrum of amino acids which are essential for the maintenance of good health. Precision All Natural™ Whey Isolate tastes great and easily blends into a rich and creamy high protein shake or smoothie. It’s the perfect choice for people with active lifestyles or for anyone wishing to increase their protein intake while avoiding artificial ingredients. Healthy and natural from every angle. I have been using the vanilla flavored one for a few years now and love the natural taste which isn't overbearing. I will continue to purchase this product, as I can't find any fault with it. I am really enjoying this protein powder. I use it to replace breakfast and it keeps me full for hours! Will soon be trying the chocolate flavour! I love this product! My favourite portion powder and it tastes great!